please 2 days before the arrivals for the group cancellation . 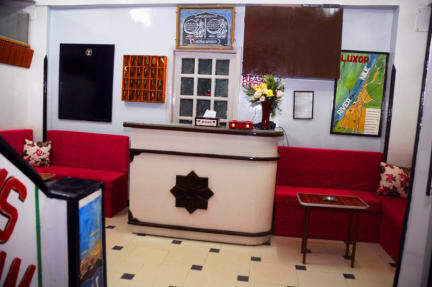 The Happy Land Hotel, a backpackers’ favorite, offers clean rooms and spotless bathrooms, as well as very friendly service, a copious breakfast with fruit and fresh juices and cornflakes on the rooftop terrace. Also drinks and fresh juices are available all day as well as traditional tea and coffee. You can choose between our private rooms or our dorms, male and female separated. All rooms have air-condition. El Madina St. is the Market St. with everything you need, only 1 minute walk from the property. Nile St. 3 minutes walk and Luxor Temple 8 minutes walk. Train & bus station, markets, shops, restaurants, ATM and bank are also all within walking distance. At our hostel you can enjoy our free Jacuzzi bath. Bikes can be rented, and free WiFi is available. We also have laundry facilities and can help you to get ISIC cards. 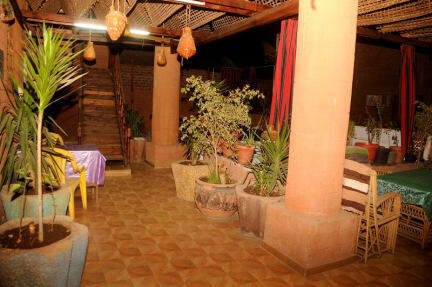 Competition among Luxor’s budget hotels is fierce, and the Happy Land comes out well almost every time. It doesn’t need to send touts to the station! We do our best to make you relaxed and happy in the Happy Land Hotel. Check in from 09:00 to 23:00 .